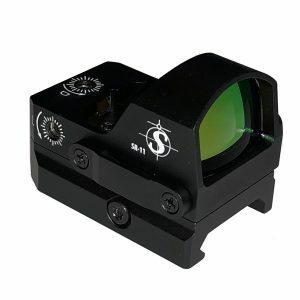 The new Shepherd Scopes 40LR tactical red dot sight with built in laser is the real deal for tactical users. User groups include SWAT, Homeland Security, and Law Enforcement agencies worldwide. 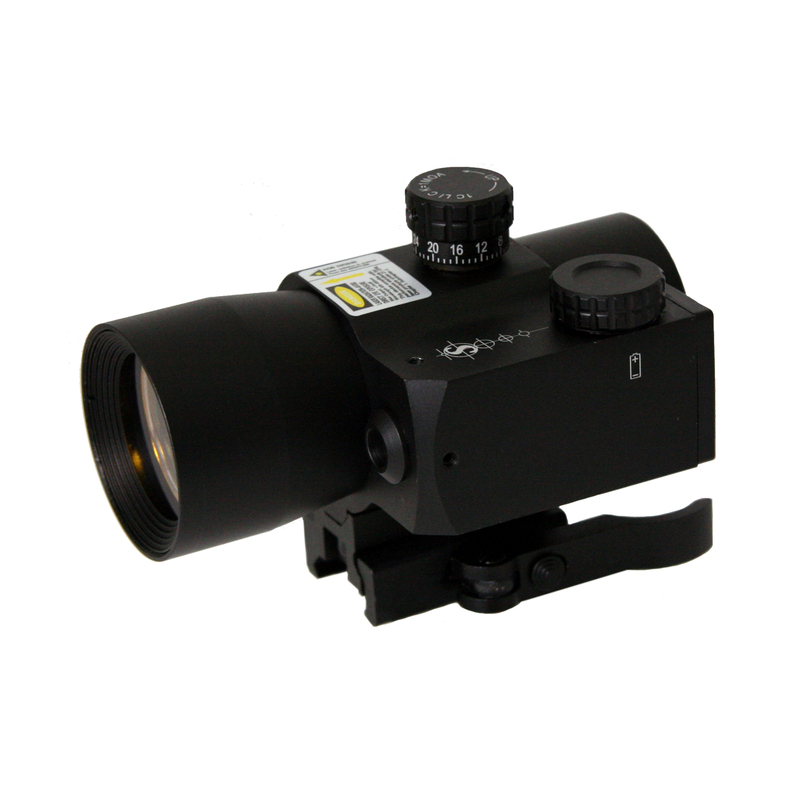 The 40LR gives you the ability to use a red dot sight in conjunction with the laser or each can be used independently to zero in on your target day or night. The 40LR comes with a quick release mounting system allowing for weapon to weapon change out in less than 3 minutes including re-zeroing. 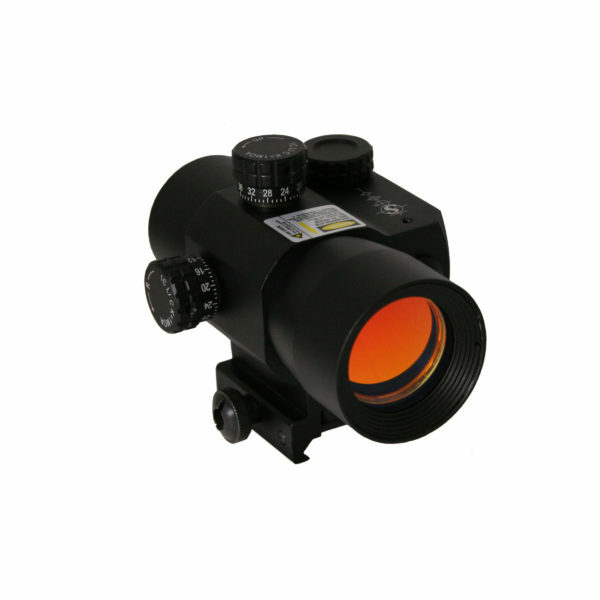 The 40LR red dot reflex sight laser combo system gives you unlimited eye relief with true both eyes open 1x firing capability. 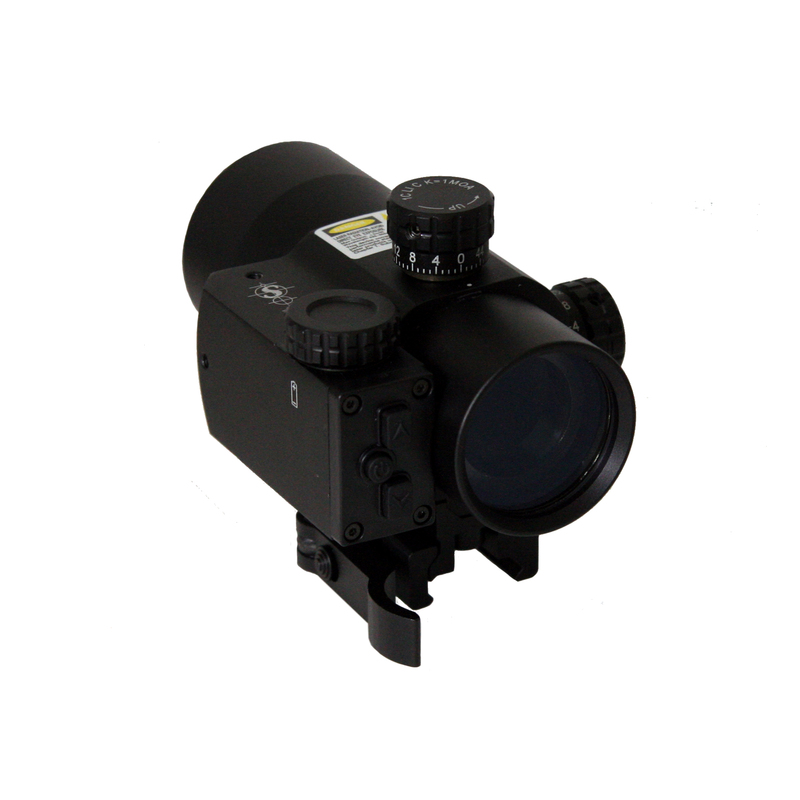 The 40LR red dot reflex sight laser combo comes with an industry first operator facing push button panel with 7 brightness settings and quick mode changes. You can literal change settings without looking away from your target. The Shepherd 40LR is made from the same aircraft aluminum as our premiere scopes and is ready for any and every opportunity day or night. 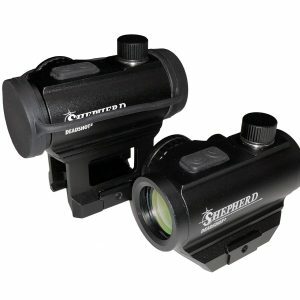 The 40LR is another example of how Shepherd Scopes is redefining the industry by providing high quality systems for a reasonable price.